The water raging in nearby Eagle Creek was QUICK this weekend! The normally quite lazy creek (no, its not a river, it is just as wide as one now because of all the recent rainfall) was raging on Sunday. I took this one with only a very slightly delayed shutter to still show the waves that were splashing. It's a lovely scene with Quick water flowing by...the photo is beautiful. Ah, Quick indeed!! Terrific capture for the Q Day and such a beautiful place! Enjoy! Great shot! And congrats on 100 followers! It sure LOOKS like a river, a rapid one at that. so green and beautiful! i love the moss...a gorgeous capture. That is an awesome shot. You can feel and hear the water rushing by. Enlarged it is like sitting right next to that turbulent water. Very impressive photography. Beautiful photo for Q day. 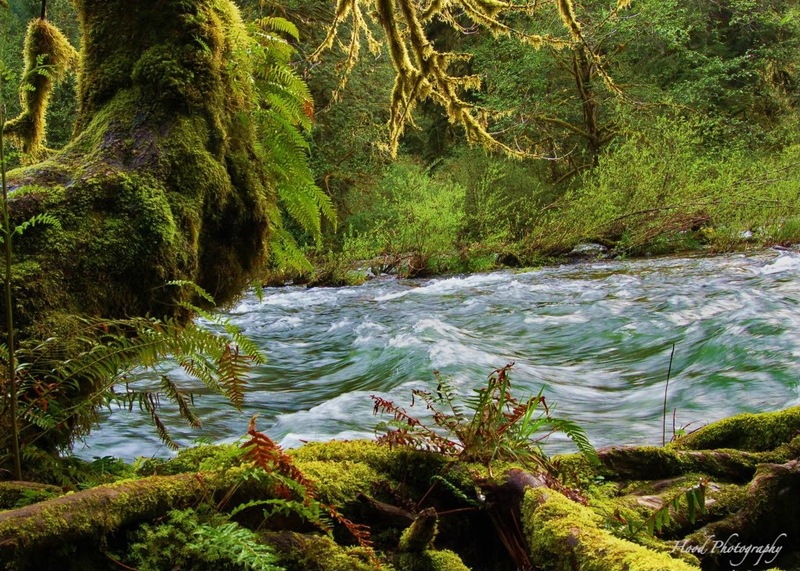 I love to see "quick" creeks and ferns and moss. Not a lot of any of those in southeastern Alberta. There is something mesmerising about rushing water. Absolutely love this blog. I love the photos. Thank you for sharing your corner of the world. Wow! Is what I thought when I saw this shot, it is just beautiful. Love the photo- we live in such a beautiful place!